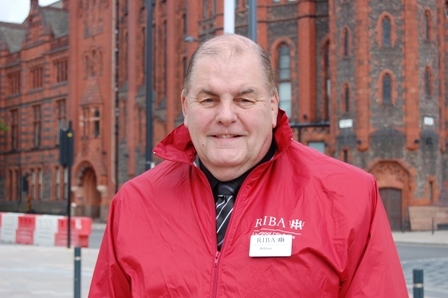 Arthur Garnett, Estate Support Officer in Facilities Management, has become a RIBA (Royal Institute of British Architects) accredited Liverpool Tour Guide and has taken his first tour. Arthur is already a tour guide on campus for the Student Recruitment and Admissions Office and Facilities Management and has been giving tours around the city for seven years. The RIBA Guides are the first to operate in the UK and his tours can be tailored to group interests in the city and are available throughout the year, including evenings and weekends. If you are interested in a tour with Arthur, contact him on arthur.garnett@liverpool.ac.uk or call +44 (0)7983 133 802. Did you know that Robert Oppenheimer split the atom on University campus as part of the Manhattan Project with Sir James Chadwick, Lyon Jones Professor of Physics and Joseph Rotblat? Did you know the University of Liverpool was the first British university to establish a Professorship of Russian? just joined a tour led by Arthur this afternoon. it’s amazing tour! I learnt a lot of interesting stories behind those buildings! Arthur’s tour should be a compulsory lesson for each student when they come to Liverpool! Arthur is so knowledgeable about everything! thank you very much Arthur. As a non Liverpudlian I can vouch for these tours after the highly informative and immensely enjoyable city walk that Arthur conducted for our office social evening last October. 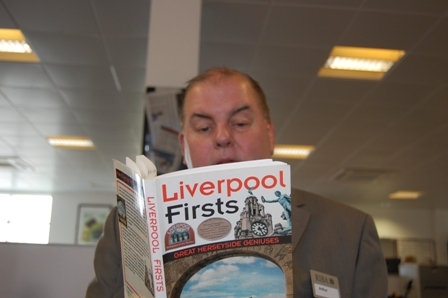 Your Liverpool City Tours are fanastic, everyone should attend a least one for a great day out. I have learned so much from you about this wonderful city of ours! Arthur certainly knows his stuff! Had the pleasure of going on a tour just a few days ago with him. Learnt all sorts of interesting facts about Liverpool and will definitely be pointing friends in his direction! Top job Arth!